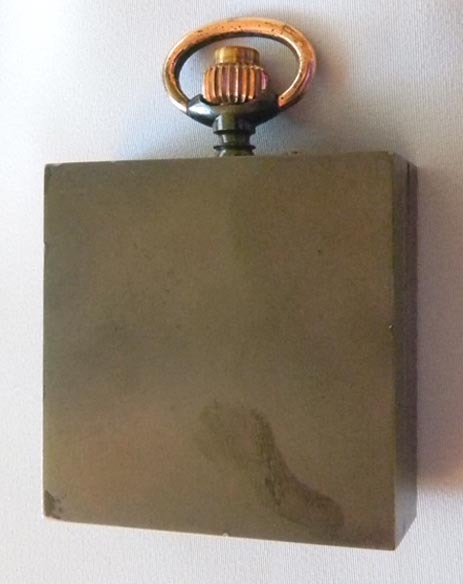 Fine and very unusual gunmetal Antique "paperweight" quarter repeater antique watch circa 1890. 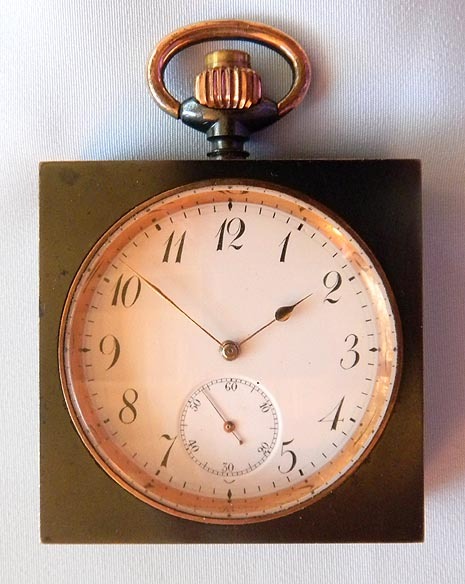 White enamel dial with black markings and gold hands. 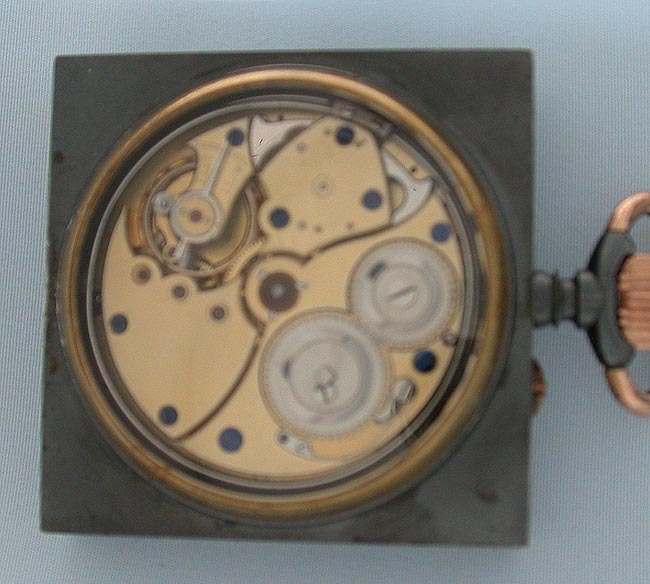 Heavy gunmetal case with button in the crown to activate the repeater. 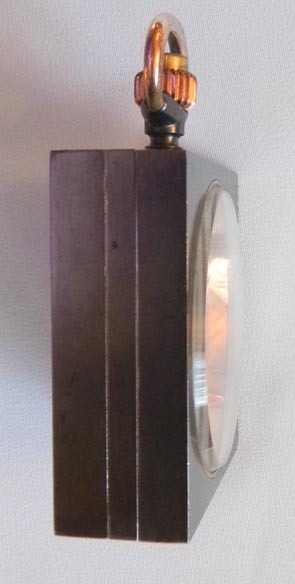 Gilt 16 jewel lever movement under a crystal. When activated, this watch chimes the time using different chime tones to designate the hours and quarter hours with clear bright chimes.